You don’t need to be a maverick to help in the fight against cancer, you just need the Cars for a Cure donation program! 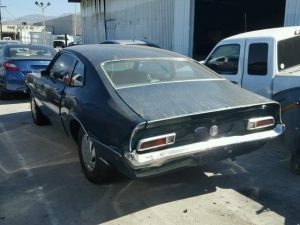 If you’re interested in an antique Ford or the mission to free the world from cancer, this story is for you. 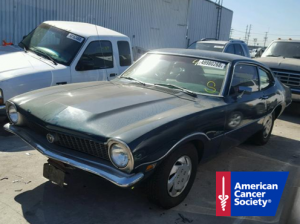 Every car donation to the American Cancer Society makes a difference, but we want to share an extra-special vehicle story. We’re no stranger to Ford at Car Donation Wizard or even muscle cars for that matter. In the late 60s and early 70s, Ford wanted to compete with the influx of Japanese models and the success of models like the Volkswagon Beetle. Ford engineers designed a body style that would appeal to those who had been favoring the imported vehicles. This body style was only in production from 1969-81. In 2019, they are certainly hard to come by. This piqued our interest when the former owner contacted us, and let us know that she wanted to support the American Cancer Society. Cancer is incredibly common and affects us all in one way or another. The American Cancer Society works to provide invaluable services to comfort and care for cancer patients and their families. They have over 250 offices across the country to spread support far and wide. They fund cutting-edge research to prevent and treat cancer. Since 1946, they’ve invested $4.8 billion into critical cancer research. They’ve provided over 8.5 million free rides to cancer patients to ensure people are able to access treatment. Since 1991, they’ve averted 2.4 million cancer deaths. The American Cancer Society is serious about fighting cancer, and they can’t do it alone. We make it easy to support the American Cancer Society with our Cars for a Cure vehicle donation program. If you’ve got an old car, muscle or no, and you want to join the fight against cancer, you need to know about Cars for a Cure. Our easy vehicle donation program provides significant funding for the American Cancer Society. The average car donation can fund free lodging for 12 nights at their Hope Lodge facilities, provide 24 rides to treatment, provide personalized information kits to 40 newly diagnosed cancer patients, and much more. Cars for a Cure is a donation program you can trust. Car Donation Wizard has the highest returns of any car donation program out there. Between 75-80% of the gross proceeds of your vehicle sale go to the ACS. That means more money for research and support. Get started today on our website or give us a call at 888-227-5500!